The online environment becomes more and more crowded with each passing day. You can no longer just build a website and think customers will find you. Marketing your website is as important as marketing your products and services. Just as a great location along a busy road drives traffic to your store, a great location among the search engine results drives traffic to your website, your online storefront. Give us a call at (252) 564-8550 for a free consultation. 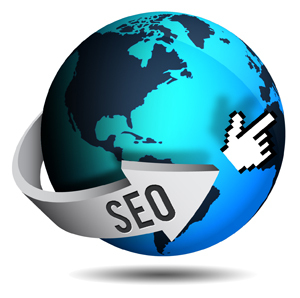 One key piece of the internet marketing puzzle is search engine optimization (SEO). This is a term you have most likely heard thrown around but may not understand how it works. SEO is an overall strategy consisting of clearly defined tactics and marketing efforts, with the focus of increasing the visibility of your website to those who are actively seeking your product or service. The increased visibility comes from higher positions in search engine rankings for search terms and phrases relevant to your business. These services target those people actively seeking out your product or service. By defining and building a plan around key search phrases relevant to your busines, SEO marketing can put your website above your competitors and in front of a larger number of potential customers. As a local internet marketing company in Wilmington, NC, we value the businesses in our community and strive to help them reach their goals. Now that we have an office in Kill Devil Hills, we also strive to serve the businesses in this community. This means we are completely transparent in all of our work. We don't keep our tactics a mystery. We explain the strategies we think will work best for you – and why – so you are completely informed throughout the entire process. All relevant reports and information is made available online, and we answer our phone before the 3rd ring. Even if you're many miles away, you'll feel as if you're next door. The search engine landscape is in constant flux, as Google makes daily small algorithm changes and ushers in major changes on a regular basis. You need a SEO company that stays informed of the latest in search engine optimization and that understands how these changes may impact your business. At WordwrightWeb, we are continually monitoring the latest news to stay on the cutting edge so you are not left behind. If you are looking to improve the performance of your website and get to the top of the Google Mountain, give us a call today at (252) 564-8550 for real solutions to improve your business in the online marketplace.